Since the opioid crisis has made major headlined over the past decade, more and more victims are taking aim at big pharma. These include wrongful death lawsuits filed by families, personal injury lawsuits filed by victims, and even civil litigation filed against big pharma by state and local governments in the light of the enormous costs incurred by the health system. One such lawsuit was filed by 47 Tennessee counties hoping to get big pharma labeled as drug dealers. The sense of labeling big pharma as a drug dealer is that it opens them up to civil liability in cases where innocent third parties are injured or impacted by the product. The courts and injured parties can hold drug dealers responsible for injuries caused under the Drug Dealer Liability Act Innocent third parties named in the lawsuit included babies born addicted to opioids by parents who had legal prescriptions. The judge, however, dismissed the lawsuit. The lawsuit alleged that Big Pharma lied and misled doctors about their product. The drug companies claimed that their new brand of opioids, which included drugs like Oxycontin, were less addictive than their predecessors. In a basic sense, this, like any product liability lawsuit, would constitute an action based on a theory that the opioid companies failed to warn patients and doctors about the potential side effects of their drugs. Patients can hold their doctors responsible for medical malpractice. There are also numerous personal injury suits and a major class action against the companies that have produced opioids. Tennessee’s attempt to hold big pharma responsible under the Drug Dealer Liability Act was largely symbolic. The opioid crisis has hit Tennessee even harder than most states. In 2016, there were over 40,000 people who lost their lives to opioids and nearly 1,200 of those were in Tennessee. While the national rate of opioid deaths was 13 deaths per 100,000 people, Tennessee’s was a staggering 18. The rate of babies born addicted to opioids is more than double the national average. Many municipal governments have taken aim at the opioid companies for producing a national health epidemic. Individuals who have been impacted by prescription opioid addiction also have recourse to sue the companies for damages. Additionally, those injured by prescription opioids may have cause to sue the doctors who prescribed them. In cases where a doctor has negligently prescribed opioids to a patient, usually in excess of a recommended dosage, over too long a period of time, or for a condition that did not require opioids to treat, a medical malpractice case can be brought against the doctor for the negligent administration of opioids. The question that would need to be answered is: Would a reasonable doctor have prescribed opioids to the patient in that situation? The Miami team at the office of Alan Goldfarb P.A. has recovered millions in damages for our clients. 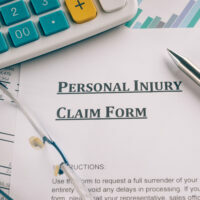 If you’ve been injured by another’s negligence, please give us a call or contact us online to set up an appointment today.